The day was reserved for local sightseeing. We started from the hotel after breakfast. 10:45 AM We stopped at the amusement park, frankly it was a waste of time. It is good for somebody who has never been to an amusement park but otherwise it is best to skip this place. We left the amusement park onwards to Kufri. 12:00 PM We arrived at Kufri. It is a setup designed to fleece the money from tourists. You have to mandatorily rent a horse. I understand the point of horses being made available for people who can't walk but making is mandatory is really not right. The place itself is set up like another amusement park. There are some stalls for food and some games. The only thing that I found marginally interesting was the go-karting course which is claimed to a highest go-karting course. We spent a couple of hours here and by the time we were back to the car park, it was already 2:30 PM. We were now running out of time, we made a dash to Army Heritage Museum. It is one of the best museums dedicated to the army that I have seen in India. The amount of information available in the museum is just phenomenal and it is worth a visit anytime anybody is around the place. Here are some of the interesting stuff that I gathered from the museum. The moral force of a nation evolves from its national character and its philosophy in which was over an extended period of time. The Bharat of ancient times and the India of today is no exception. The Indian Army draws its ethos from the philosophy of the society that it serves and of which it is an integral part. The richness of India's resources, the diversity of its culture, the variety of its natural beauty comma and its mystique combined to attract a succession of invaders. Most of the invaders settled down in India, intermingled with the population and got assimilated, enriched its culture and became an integral part of India and prepared to face the next Invaders. Thus, over a period of time, India became a multi-racial, multi-religious multi-lingual, and multi-ethnic country developing her own composite philosophy, culture, and ethos of which a strong characteristic was unity in diversity. The central idea of the old Indian civilization or Indo Aryan culture was that of Dharma which was a conception of obligations, and of the discharge of one's duties to oneself and to the others. If a soldier did his duty and was ethically right in his action, the right consequences would inevitably follow. The Indian Army of today still believes in the ethics of working for the common good of society in a spirit of sacrifice with a focus on battalion Regiment and country. The Ramayana and Mahabharata were sources of inspiration in ancient times of the values of duty, truth, honor, courage, and self-sacrifice. There are probably very few epics in the world that have exercised such a continuous and pervasive influence on the minds of the masses as these two works. 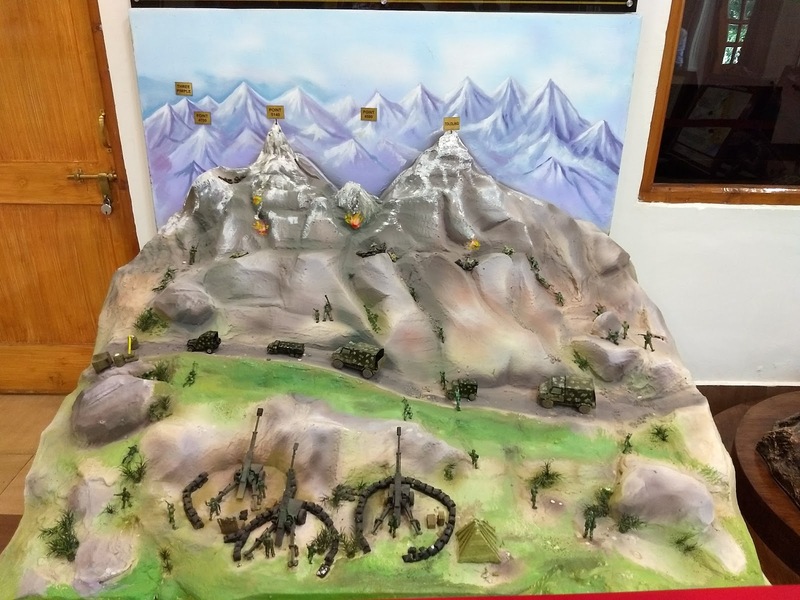 Strangely, these epics continue to stimulate the people of India with these underlying values through the passage of more than 2000 years and are best exemplified by the spirit, culture, and ethos of the Indian Army of today. Other sources that have fashioned the contours of the philosophy and ethos of the soldiers are the legends of Poros, Chandragupta, Ashoka, tales of chivalry, and heroism of the Rajputs, Chalukyas Cholas, Pandyas, and Cheras, Legend of Chattrapati Shivaji, Guru Gobind Singh amongst others. The Indian military tradition has relied upon the large standing armies. In her phases of political unity, she has settled for the large standing army of an Imperial nature. The Mauryan armies of Chandragupta and Ashoka were such armies. So were the armies of the imperial Guptas than later the Mughals. The British Indian Army of second world war at 2.5 million when was the largest volunteer army in the world history. At 1.2 million men today, Indian Army the second largest wall in the army in the world. Indian Army from the Mahabharata period onwards has been combined armed forces. They had infantry, cavalry, chariots, and elephants. These were trained to fight in well-known formations with set piece battle drills calls Vyuhas. The Indian defensive tradition has been centred around Fort, the Garh or Quila. The strongest point that fight to the bitter end against a besieging army. The Point and not the Line therefore is the Indian military inheritance in defence. A flaw in the Indian military makeup has been its chivalry and reliance upon the direct as opposed to indirect approach in military strategy. The Indian military tradition is replete with heroic sagas of famous forts Chittorgarh, Singhgarh, Chhattisgarh, and scores of others that dot the Indian landscape. It is in nodal points strong points that Indian troops give their very best fighting a defensive battle. Indian philosophy of yoga places emphasis on skill in action. This has been the basis of the highly professional attitude of the Indian Army. To the Indian soldiers, skill in action has long been an end in itself. He gave his life in the first and second world war not out of some mercenary zeal (He was hopelessly poorly paid) but because of his in innate cultural conditioning for bravery in combat. The Indian soldiers deeply ingrained sense of honor or Izzat and of being true to his salt can be traced back directly to the Bhishma's and Dronacharya's decision to fight for Duryodhana regardless of personal predilections. To them, Duryodhana personified the state of Hastinapur and they would be loyal to their salt come what may. The Indian soldier is always with an excellent fighting material. Many centuries before Machiavelli (1469-1523) there was an Indian guide to statecraft. It was called the Arthashastra and attributed to Emperor Chandragupta Maurya's (324-300 BC) formidable mentor and minister Kautilya alias Chanakya or Vishnugupta. This is the oldest treatise on the subject available to us. However, Kautilya in his work refers to several authors of the subjects amongst them being Usanas, Brihaspati, and bharadwaja. Of a total of 15 books in the Arthashastra, three books deal directly with military matters, while some of the Other books also have a bearing on 'Dandaniti' (Warfare). The part dealing with military science is said to have been lost The military part of Arthashastra is of immense value. For his time Kautilya wrote a monumental work. The Arthshastra had a profound influence on the further development of military doctrine and practical conduct of battles in ancient India. It became a bible which succeeding teachers of military science (Dandaniti) felt compelled to respect and follow without question. Successive kongs ignored development in the art of War and treated Kautilya's work as gospel truth. Such loyalty bred extreme conservatism in the military doctrine and prevented progress and innovation. They should have taken his percepts principles and practices on the art of war as the basis to build upon and improve upon them for future wars. Espirit de Corps The spirit of comradeship and brotherhood of the brave, regardless of caste, creed or religion. The motto is "One for all and all for one". Spirit of Selfless Sacrifice The tradition is never to question, but to do or die for the three Ns; Naam i.e. name/honour of the Unit/Army/Nation, Namak (salt) that is loyalty to the nation, and Nishan i.e. the insignia or the flag of the Unit/Regiment/Army/Nation which the soldiers hold afloat willingly. Non-discrimination The Indian Army does not discriminate on account of caste, creed or religion. A soldier is a soldier first and anything else later. He prays under a common roof. It is this unique character which makes him bind in a team despite such diversity. Fairness and Honesty The spirit of honesty and fair play. He fights for the Just cause that extends even to the enemy(prisoner or wounded). Discipline and integrity Discipline and integrity impart the feeling of Patriotism, honesty, and courage under all circumstances, however strong be the provocation otherwise. Fidelity, Honour, and Courage He is a man on whose shoulders lies the honor and integrity of his Nation. He knows that he is a last line of defense and he cannot fail the nation. Death to Dishonour A close bond among soldiers forces them to choose death to dishonour. The concept of Izzat(honour) in the clan/unit enables them to shun the fear of death; to be call coward in the peer group is worse than death. I have hundreds of photos and pages of information. It will probably fill up pages. Needless to say, it was an amazing experience. It was already getting late so we made a dash to reach Indian Institute of Advanced Studies or Viceregal Lodge. This place allows very controlled tours since the place is still an active institute and there is no photography allowed inside. We left the place and decided to go to the Mall one last time. Most of the shops pretty much close down by 10pm, we walked back to the hotel.